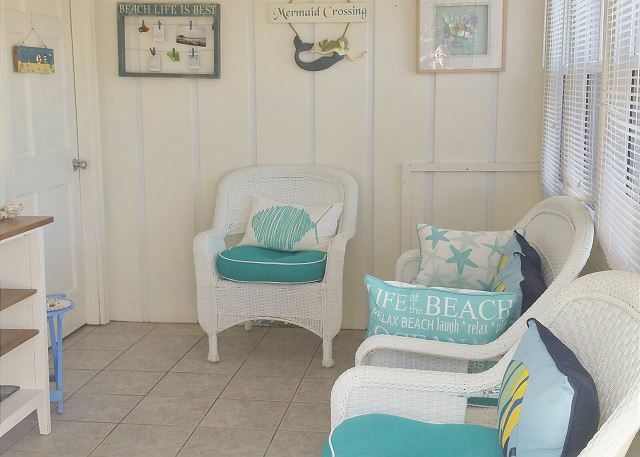 Like a Mermaid finding a treasure you’ll know you found yours when you step into this lovely 2-bedroom vacation dream home! 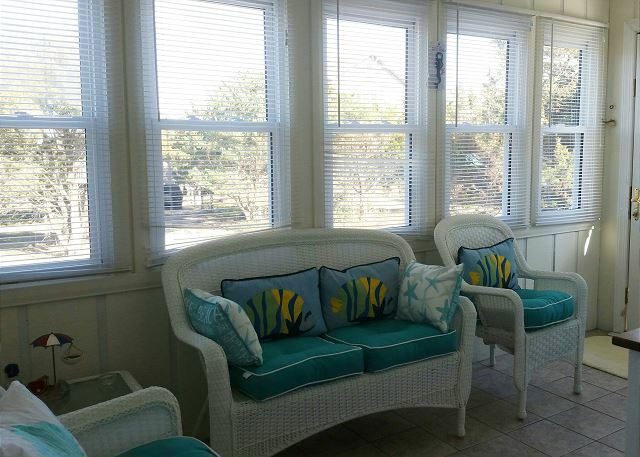 You’ll wake each morning to the smell of the ocean and the sun on your face while enjoying a quiet morning coffee in the lovely sun room or listen to the ocean sounds on the wide outside decks while soaking up the new day! But don’t take our word for it, check out the video and start planning your vacation today! 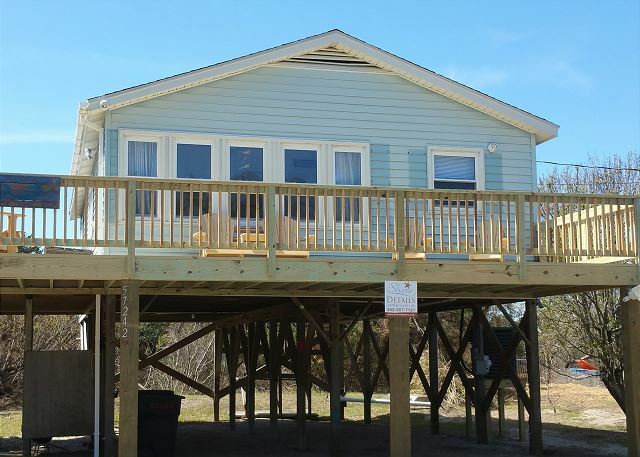 With a short walk, you’ll have your toes in the sand and after a long day of fishing, searching for sea glass or just letting all your troubles slide away you’ll be delighted to find your home away from home has everything you need! Gather the family together for an evening meal in the newly renovated kitchen, or relax in the shade and watch the kids play in grassy yard. 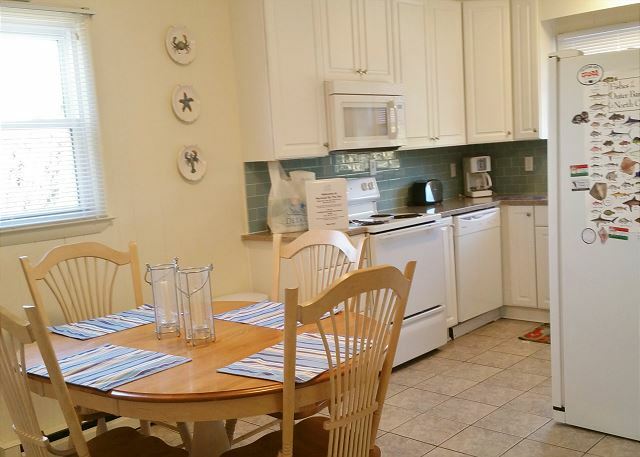 Maybe a bike ride on the quiet cul-de-sac is what you’re looking for before grilling that freshly caught fish! 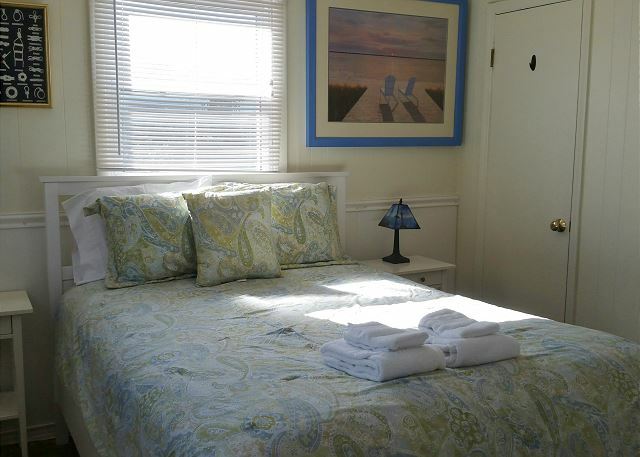 There is nothing missing at Mermaid by the Sea, once you stay in this comfortable and cozy house you’ll want to come back year after year. 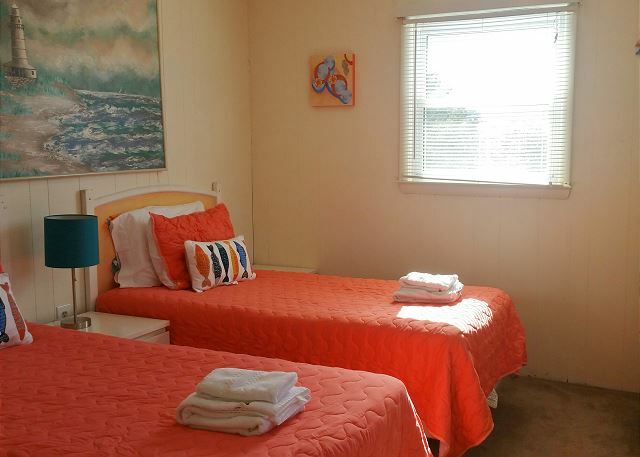 Mermaid by the Sea is a short drive or even a bike ride away from all that is Hatteras Village! 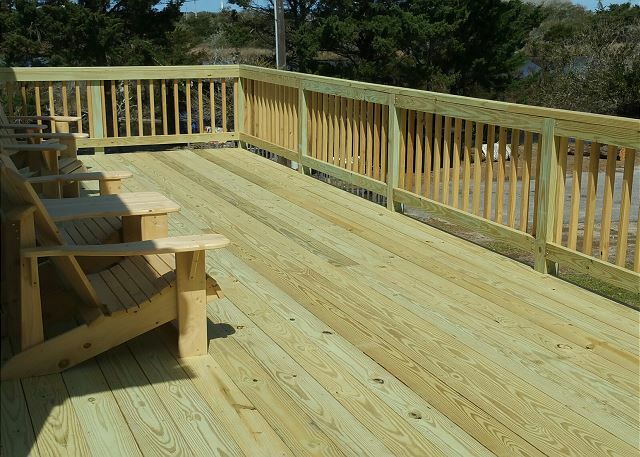 Minutes away from the Ocracoke ferry, fishing docks, shopping and great restaurants, you won’t have to go far for everything you need. 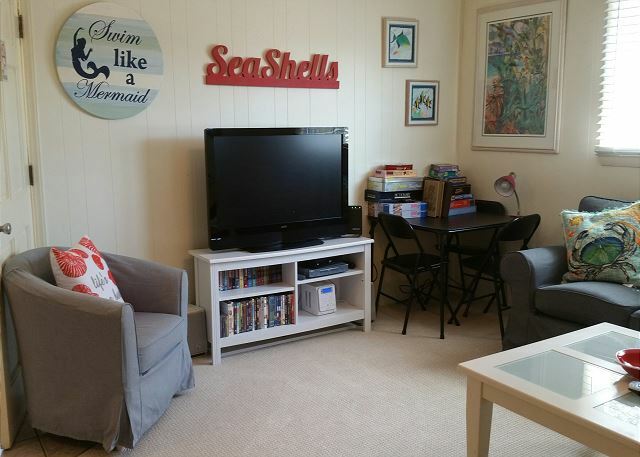 So, come put your toes in the sand at Mermaids by the Sea….and find your Hatteras Island Treasure! Free $250 in choice of beach gear offered April-October. 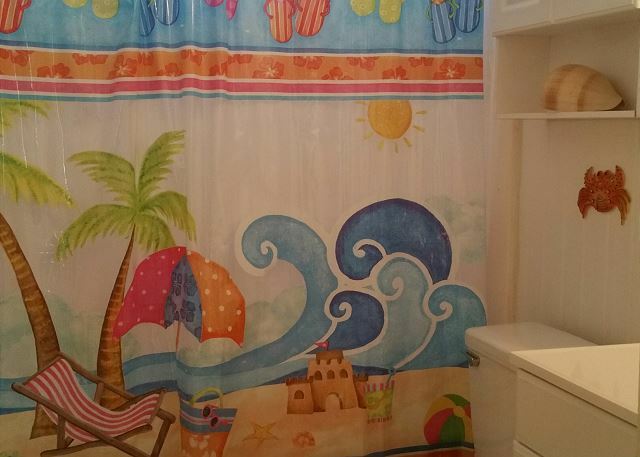 There are no reviews yet for this vacation rental. 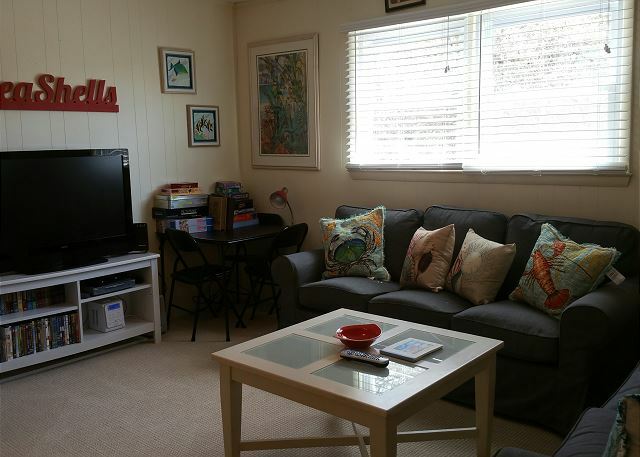 Book your vacation and be the first to review this property!